Oral health and hygiene are very important for every person’s well-being. The biggest enemy to your teeth is plaque caused by sugary and acidic foods and drinks. Therefore, it is important to regularly check with your dentist and never skip an appointment. Consider abstaining from foods that can damage your teeth. 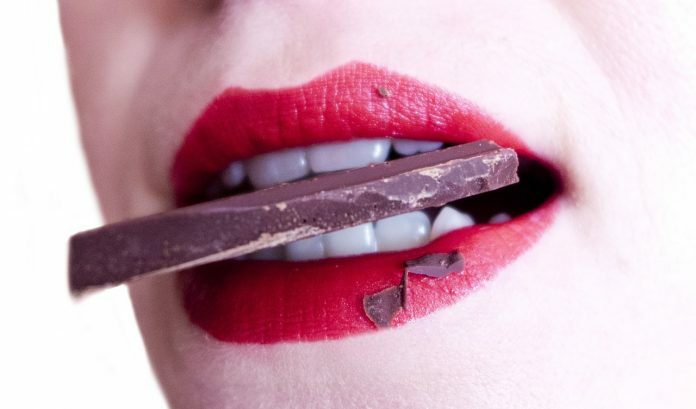 In order to help you create a diet that will soothe your taste buds and help your teeth stay healthy, we have made a list of foods you should try to stay away from. Since we were little, we’ve been taught that sugar is bad for our teeth. Sugar feeds the bacteria located in the oral cavity creating an acidic environment that can additionally cause cavities to occur, and in some circumstances cause infections as well. Sugar is found in almost in everything, from processed to whole foods; therefore, it is unrealistic to try to keep away from sugar. But remember, the dose makes the poison. Try to lower your daily sugar intake and opt for some sugar-free foods and drinks instead. Make sure to wash your teeth, or simply use a mouthwash after eating something really sweet. Acidic food, or food with a low pH level can also cause damage to your teeth. Highly acidic foods and drinks include: lemons, tomatoes, alcohol, coffee and others. We urge you to reconsider switching to some foods that have a low percentage of acid in them. Avocados, bananas, cheese, and eggs are some of our recommendations. Highly acidic foods lead to accelerated tooth decay and loss of enamel which serves to protect your teeth. Additionally, the less enamel you have, the more discolored your teeth will be. This type of food can really endanger the health of your teeth and gums. Because it sticks longer to your gums and teeth, it makes it a lot easier for the bacteria in your mouth to produce the harmful acids that eat away at your enamel and gums. Additionally to brushing your teeth, you should include regular flossing for this reason in particular. If you enjoy eating taffy, make sure to clean your mouth immediately after. Dental Fresh – a dentist clinic in Bondi Junction recommends to consult with experienced experts for the most genuine advice related to oral health and hygiene. Hard candy does not only contain a lot of processed sugar, but can bruise and cut the inside of your mouth as well. We all love sucking on lemon drops, but we don’t think about how it can cause a high concentration of acid to accumulate in one part of the mouth. This can lead to serious demineralization processes and therefore you shouldn’t give them to children. If you switch to sugar-free versions of hard candy, you can avoid enamel deterioration and constant bad breath. These drinks are packed with processed sugar and should only be consumed once in a while. If you like to swish drinks around in your mouth, you should try avoiding this practice since it will spread sugar throughout your whole mouth. Dental experts recommend using a straw, which will direct the liquids in your mouth away from your teeth. And don’t forget to drink some water after a sugary drink. It is important to keep your teeth healthy and clean, otherwise some difficult infections may occur, which may cause other parts of your body to suffer. Brush your teeth regularly, floss more often, and don’t miss dentist appointments.